Piñata is a favorite with kids of all ages. Using a wand, players hit the drum again and again to break the virtual piñata shown bouncing around on the screen. It is a very interactive video game, easy to play and fun for the whole family! If you currently operate the candy version of Piñata, make sure to keep the candy dispenser calibrated. To ensure optimal operation, we recommend recalibrating the dispenser after any maintenance has been performed, after the software has been updated and every time the type of candy loaded is changed, as it uses the exact weight of each individual piece of candy to calculate the correct payout. The operator menu has an easy to use step-by-step process for calibration. Check your Piñata game manual on page 14 for step-by-step instructions on calibrating the candy dispenser. When operating on candy, a good backup setting to use is “Revert to Tickets” [under Prize Settings]. By turning ON this option, the game will automatically revert to paying out tickets when it runs out of candy, or if there is an error with the candy dispenser. With this setting active, players will be awarded tickets until you get around to refilling the hopper, avoiding any game downtime. Note that if you are using this feature, you need to remember to set the correct payout values for both candy and tickets. Piñata has an intelligent payout calculator built in that allows you to set the baseline number of tickets or candies to pay out per credit on all 4 game stages. This ensures every player wins and encourages repeat game play. Because the drum comes under great stress, the sensors and wires need to be checked regularly to ensure smooth operation and make sure your guests get the best experience. We suggest setting a regular schedule to check that all 5 sensors are properly calibrated and connected to the drum. There is a helpful menu to check the calibration of the drum sensors in the Operator Menu. 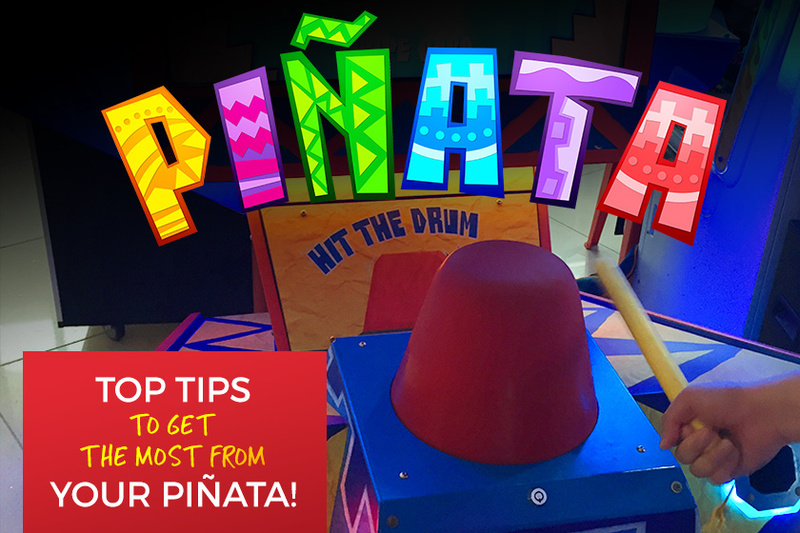 It’s always a good idea to keep some spare drum piezo sensors on-hand to maintain the game’s performance and ensure your Piñata never misses an opportunity to earn you revenue. Contact our parts department to place an order for spare parts. Regularly dust and clean the external cabinet areas as required, using a soft water-damp cloth and mild soap. Check all LED strips are functioning and repair as required. Check the monitor image is clear and screen cover is not cracked. Wipe the drum with soft damp cloth. Regularly dust and vacuum the interior of the cabinet including candy vend area for candy model, taking care to remove any objects that may have fallen. Always after cleaning the cabinet interior, check all connections to the drum sensor PCBs, and restore any loose or interrupted connections.